Parliamentarians will take their seats in the new House of Commons for the first time on Monday. But while the setting will be new, the soundtrack will be the same — angry, unruly and just plain loud. Since becoming the Speaker of the House of Commons after the 2015 federal election, Geoff Regan has tried to curb the worst aspects of question period. Whenever the heckling and jeering has gotten out of hand, Regan has taken the unusual step of calling out offending MPs by name. It's something his predecessors were reluctant to do — but Regan has been doing it more often lately. Centre Block, where parliamentarians have gathered since the 1920s (after the original building burned to the ground in 1916), is undergoing significant renovations that will last at least a decade. Until those renovations are completed, MPs will gather in the new House located in what used to be the inner courtyard of the West Block on Parliament Hill. The new House of Commons was already facing some acoustic challenges. It is a cavernous space topped with a glass ceiling, surrounded by corridors from which sound can reverberate off the courtyard's old stone walls and into the House chamber. The acoustics are about to get worse once the main players take the stage. There has been no noticeable decrease in heckling in the House, despite Regan's efforts — which have increased as this current session of Parliament has dragged on. Over the last weeks of 2015 and throughout 2016, Regan called individual MPs to order 54 times during question period. In 2017, Regan's interventions nearly doubled to 101. And in 2018, the number of times individual MPs were named by the Speaker jumped again to 163. That makes a grand total of 318 occasions when Regan took an MP to task for heckling in the House — almost one 'naming and shaming' for every sitting day. In all, 80 different MPs have been scolded by Regan. Despite the increase in Regan's efforts, hecklers still largely go unadmonished as virtually no exchange in the House goes uninterrupted. "I do not usually call out members for heckling," Regan told the House in June 2017, "unless they have been persistently doing it." Heckles are also rarely captured by Hansard, the official record of debates in the House of Commons. Every so often, however, a heckle is recorded for posterity. 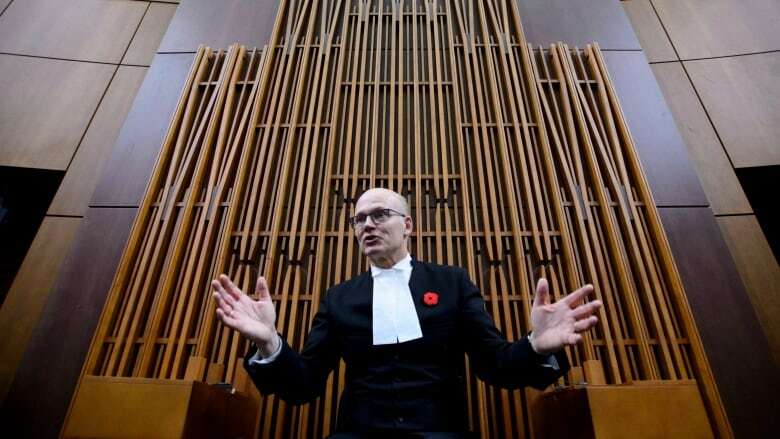 "The cabinet spot is not going to be yours with that kind of answer," Conservative MP Peter Van Loan (who has since resigned his seat) said in May 2017 to Andrew Leslie — who indeed remains a parliamentary secretary for the Liberals. "Check his water," quipped Conservative MP Todd Doherty after failing to be impressed by answers offered by Liberal cabinet minister Jim Carr. Most of the time, however, heckles are only recorded in Hansard with the generic interjection, "Oh, oh!" — a practice that goes back to the first sittings of the House of Commons in 1867. Conservative MPs have been the ones named by Regan most often — 266 times out of 318, or 84 per cent of the total — with New Democrats getting a tongue-lashing from the Speaker just 27 times and Liberals only 24 times. While Regan was elected as a Liberal and the New Democrats sit at the far end of the House, furthest away from the Speaker's chair, any observation of question period confirms that Regan's ire has been targeted at the noisiest cohort of the House. 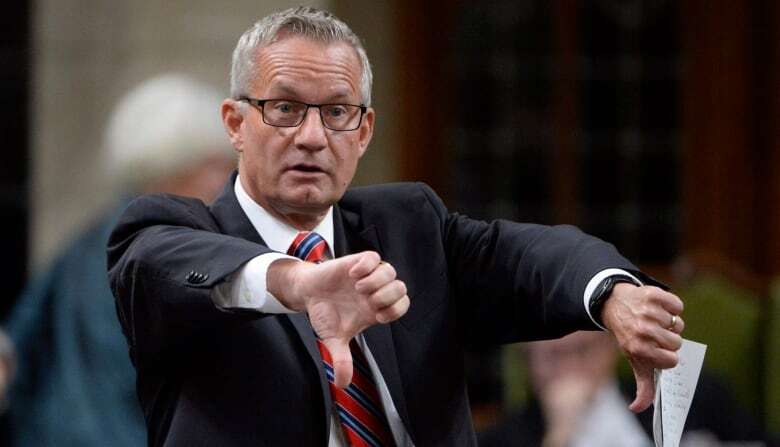 Not surprisingly, the Liberals are those who are heckled the most; they are, after all, the MPs getting up and providing answers that either do not address the questions posed or do not meet with the approval of opposition members. A Liberal MP was last to speak 93 per cent of the time when Regan has named a heckler. So which MPs get scolded most often? The top 15 are all Conservatives, with three in particular being the most frequent targets of Regan's disappointment. Western Canadian MPs Ed Fast, Kevin Sorenson and Michael Cooper were each named on 17 occasions. Not far behind these three were Blake Richards and Erin O'Toole with 15 each, David Anderson with 13, Chris Warkentin with 12, and Alberta MPs Ron Liepert and Ziad Aboultaif with 11 each. The Liberal MP called out most often by Regan was Rodger Cuzner, a fellow Nova Scotian, who was named seven times. Two New Democrats were named five times: Peter Julian and Pierre Nantel. The top of the list is dominated by male MPs, with Conservatives Candice Bergen and Sylvie Boucher coming in at 12th with eight reprimands apiece. Indeed, 29 of the 32 MPs Regan has called out at least three times are men. 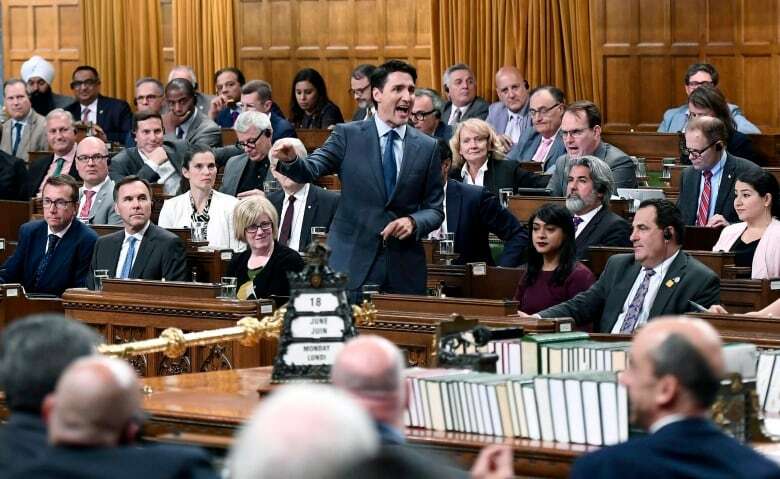 The target of most of the heckling in the House of Commons was Prime Minister Justin Trudeau, the person who had the floor in 69 cases when Regan stepped in. That's to be expected, since Trudeau has gotten into the habit of answering all opposition questions on Wednesdays. Before he began this practice, Trudeau had been heckled about as often as other important members of his cabinet. Following Trudeau on the heckled list was Finance Minister Bill Morneau (26 times), Environment Minister Catherine McKenna (22 times) and Government House Leader Bardish Chagger (13 times). Heckling of the opposition itself was far less frequent. But Conservative Leader Andrew Scheer was the opposition member heckled the most (five times), while the top NDP recipient of heckles was former leader Tom Mulcair (twice). It seems unlikely that Regan will be successful in reducing the cacophony that makes the daily theatre of question period so difficult to follow (not without the technical assistance of microphones, at any rate). In the last four days of sittings before the holiday break alone, Regan stood up 13 times to single out an unruly heckler (including the prime minister himself). But in naming these MPs, Regan is at least putting the unruliest of them on the record for all time. That's the 'naming' part of his strategy. He's still waiting for the 'shaming' to take effect.